My Top 5 Tips To Welcome In The Fall Beautifully With Astrology… Celebrate the Autumn Equinox and Libra season with these helpful hints and beauty rituals! A new beginning’s promised, with Libra Season (September 23rd – October 22nd) commencing. Winter is still to come, yet we can embrace cooler vibes with the Autumn Equinox to mark the moment. The word Equinox is Latin for ‘equal night’, and Libra is the zodiac sign most tied to relationships, balance and equality. So, what can you do to align with the cosmos, celebrate and make the most of this fresh energy and new start? Now OFFICIALLY Autumn you can steer your look in a more grown-up direction. While the first six signs of the zodiac are primarily focused on oneself, the remainder begin to turn towards others and operating in relation to the world. 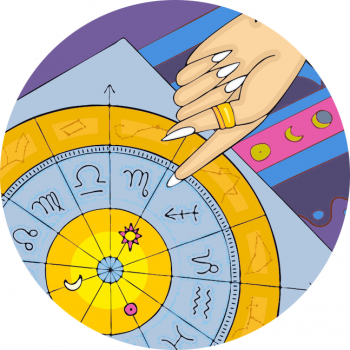 Seventh sign of the zodiac: Libra represents marriage unions and harmonious matrimony, while Scorpio shows us how partnerships are consummated. Maturity can be expressed in a number of ways, but why not use color? Shades of Fall include plum, garnet, berry hues, chic neutrals and rich navy. With the nights growing long you’ll have lots of time to practice a signature style, and more hours to go out wearing it! Welcome the darkness of Winter that’s on its way… Shorter days and longer nights mean more time to brush up your beauty look! Feminine fragrances are a mainstay during the season governed by Venus – Libra Season – as we become attuned to fashion, beauty, aesthetics and appearances. Libra is an expert when it comes to social graces, and as such she smells divine – but not too overpowering. Add depth and sensuality to your aura with a fresh, captivating scent. You can also introduce the vibes into your home with potted plants or cut flowers – a beautiful bouquet will remind you of new growth that’s possible in the last months of the year. Read about astrology, flowers and fragrance, here. 3. Practice Peace, Partnership, Balance & Get More Sleep! Welcome Libra season – the most balanced zodiac sign – with a moment meditating on peace, love and harmony. Relationships are everything to this socially oriented air sign, and during the equinox we can all take a leaf out of Libra’s book with a considered approach to all our exchanges. Peace of mind brings serenity, which in turn helps us look less anxious, create less stress hormones, wrinkles and toxins that inevitable age us. It also makes it easier to get good shut eye. Make the most of the onset of winter with seasonal fruits, flowers and spices in your beauty rituals: apples, pears, pomegranates, pumpkins, blood oranges, grapes, nuts, cinnamon, ginger and honey. Warm tea is especially soothing on those cool, autumn mornings – I just bought the caffeine free tea from Caudalie, it is SO tasty. If you’re lucky enough to live near a forest, gather beautiful leaves and pinecones from the woodland floor, to decorate creatively, and eat seasonally with the harvest – corn, grains, squash, onions and all types of root vegetables. Nature speaks to our soul, which is just as good a nourishment as expensive creams and lotions. Long ago, Libra season was an ideal time for matchmaking, and you can still plan on playing Cupid! Forest of my childhood, Westonbirt Arboretum. Comment below on how you’re celebrating the fall equinox Stargazer!